Sweat bands can help keep your hands blister-free. Playing tennis on a regular basis builds calluses on your hands. 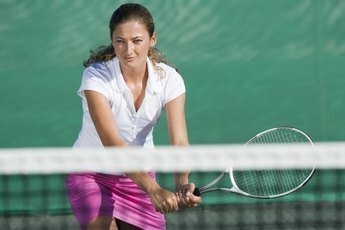 But if you haven’t played in several months or you are new to tennis, your hands may be soft and can quickly develop blisters. 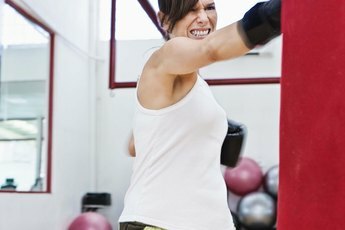 There are several techniques to try to avoid these painful blisters, and if you already have blisters, there are a few options to try to help ease the pain and keep on playing. How you avoid getting blisters can be a trial-and-error process. The key factors are to use a racket with the correct grip size and keep your hands and grip dry. Play with the correct size racket -- one appropriate to your hand size. If the grip is too small or too large, the racket's handle can twist and turn in your hand. The extra friction and rubbing can lead to blisters. To check your grip size, use a ruler and measure, in inches, from the middle crease in your palm to the tip of your ring finger. This is the correct grip size to use. If the measurement is between sizes, use the smaller of the two and wrap an overgrip around the handle to increase the grip a half size. Wear a golf glove or a racquetball glove. A glove not only helps prevent blisters from forming, but also if you already have a blister, the glove provides a little extra cushioning. Over time the blisters will become hardened calluses, and you will no longer need the extra padding. Gloves also absorb perspiration, help keep your hands dry and provide a better grip on the racket. Be sure to carry several so you can change gloves during the course of your match. Wrap the racket's handle with a new overgrip each time you play. Overgrips are installed over the existing grip and many are made to provide either a tacky feel or a soft, felty feel. Tacky grips help reduce the amount of handle slippage -- giving you a more secure grip. Soft, felty grips provide a little cushioning and absorb moisture, which helps keep your hands dry. Worn, tacky overgrips or wet, felty grips make it harder to hold onto the handle, which can lead to blisters. Experiment with the different types to see which one works best for you. 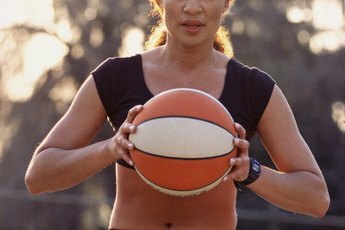 Wear sweat bands on your wrists if you tend to perspire a lot. Sweat bands can prevent the sweat from running down into your hand. With a sweaty hand, you'll find it harder to hold onto the racket's handle. The extra slippage can lead to blisters. 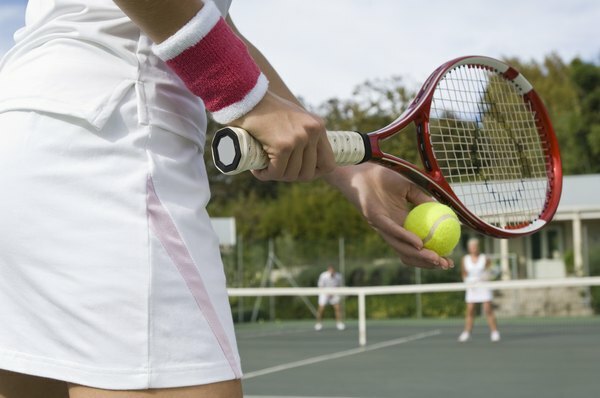 Keep your hands and racket handle as dry as possible during your match. Use a towel to dry your hands, forearms and racket handle after every game. Pat down your hands and racket handle with a rosin bag. Rosin bags are filled with a dry powder, and when you slap it against your hand or handle, a small amount of powder remains. This helps keep everything dry for a better grip. If your overgrips tend to wear quickly or your palms sweat a lot, carry several new overgrips in your bag so you can change them often during your match. Do Vents in Tennis Windscreens Really Help?